Notice:Because Micro USB 2.0 plug is retractable,use it please be very gentle. If the card reader and the computer don't work,recommended replacement of a T-Flash card and try again. Any questions, feel free to contact our customer service. 1.Creative Android interface, a different experience. Ingenious creative design, Micro can be freely scalable to switch between different interfaces in the USB interface. 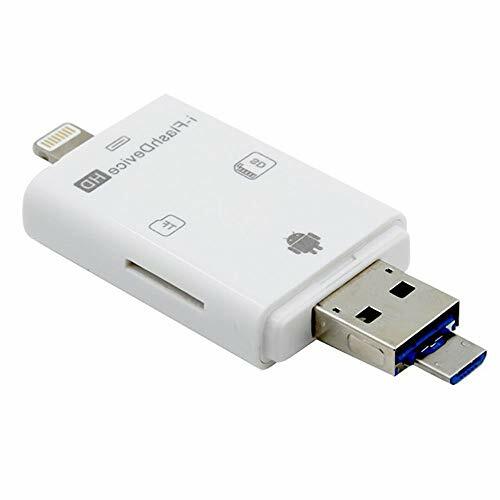 2.SD CARD READER. You can view pictures, video, music, MS office by the phone, save internal phone storage. Support data and contacts backup, picture taking and record directly by iPhone/iPad/OTG Android. 3.Powers via micro USB/USB port, no additional power supply needed.Easy to take, use and install, no additional software installation required. If you have any questions about this product by QC, contact us by completing and submitting the form below. If you are looking for a specif part number, please include it with your message.